Use in front pocket or rear pocket. Left or right hand draw. 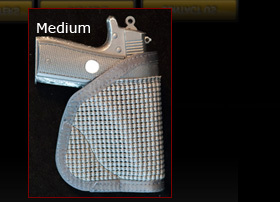 weapon to be drawn while the holster remains in your pocket. it to print in the pocket. 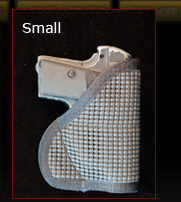 Made for use with small & medium semi-automatics or small revolvers.